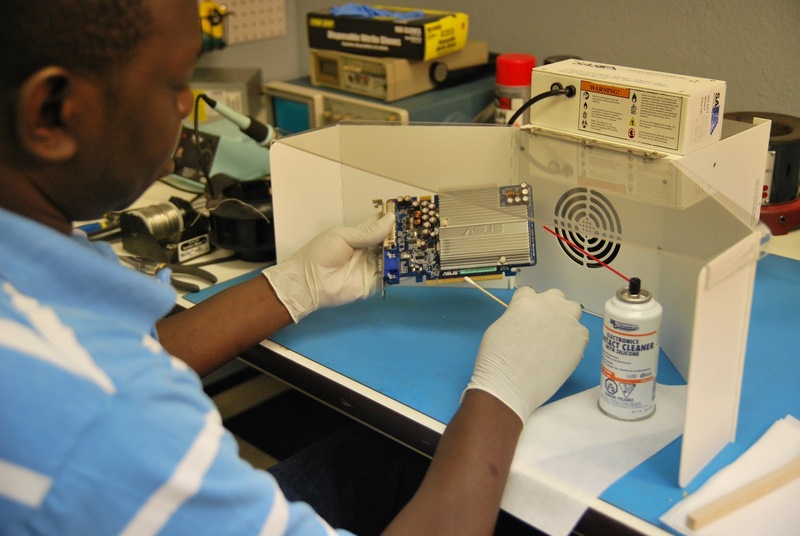 Electrical Contact Cleaner Fume Control - Sentry Air Systems, Inc.
Electrical contact cleaners are designed to clean, lubricate, and protect electrical contacts. Cleaners are available in a variety of options, including Contact Cleaner with Poly Phenol Ether and Contact Cleaner with Silicone. When working with these aerosol cleaners, it’s important to be familiar with the hazards involved with exposure to the ingredients. Aside from potential eye, skin, and ingestion hazards, health effects due to inhalation should also be considered when developing engineering safety controls. When fumes and vapors of this product are inhaled, they have the potential to create respiratory tract irritation as well as lower the amount of oxygen available for breathing. You can find the recommended Permissible Exposure Limits (PEL) from OSHA and the American Conference of Governmental Industrial Hygienists’ (ACGIH) Time-Weighted Averages in Section 2 of the MSDS, labeled “Hazardous Ingredients”. 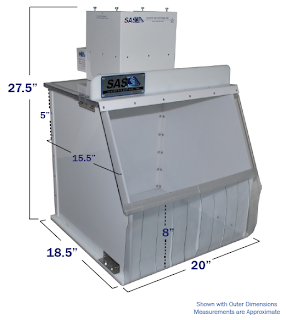 Sentry Air System, Inc. offers a variety of fume extraction options that can help to reduce exposure to most of the ingredients in this contact cleaner. These local exhaust ventilation configurations range in size and air volume and can be useful in a variety of settings. 1. The Model 200 Winged Sentry is one of our most popular solutions for contact cleaner fume control. This compact, benchtop unit features infinitely adjustable side panels that allow the operator to customize the work space to their needs. An optional hinged, acrylic lid can be added [pictured in second image] as an additional containment measure. For this application, a Carbon Pre-filter and 2.5 lb. Activated Carbon Filter are utilized to absorb the extractable chemical ingredients in the cleaner. 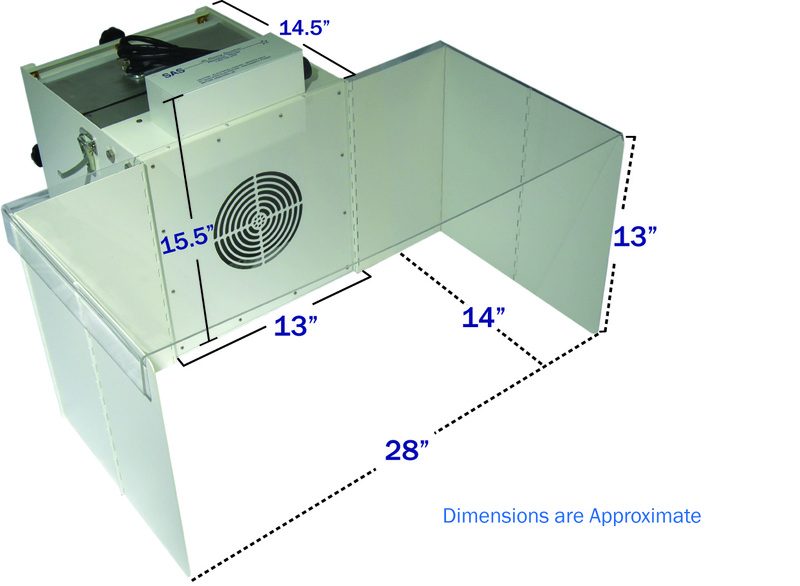 This unit is capable of up to 100 CFM of air volume. Because of this unit’s recirculating air pattern, there is no need for costly external ducting or replacement air for heated or cooled air that is normally lost when exhausting outdoors. The “wings” on the Winged Sentry can easily fold and collapse onto the sides of the base unit for easy transport. 2. 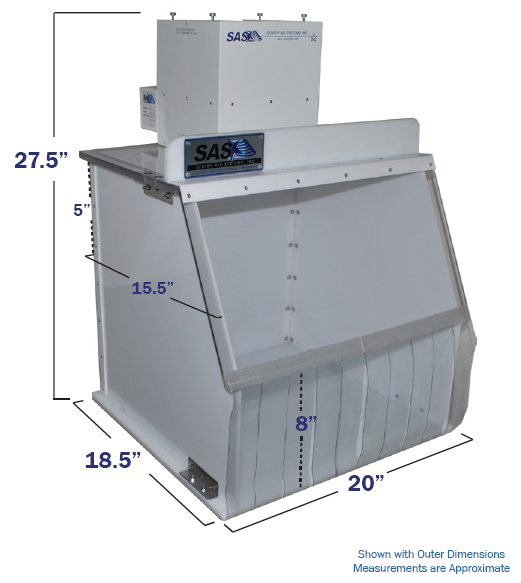 The Model 300 Winged Sentry employs the same basic design and function as the Model 200 Winged Sentry; however, it offers more air volume [up to 350 CFM compared to 100 CFM] and more work space. 3. 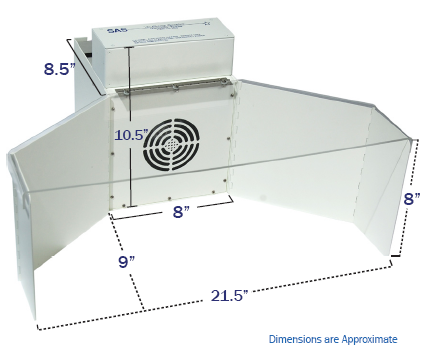 Sentry Air’s 18″ Wide Ductless Fume Hood offers a fume control solution with a small footprint and very efficient fume and vapor containment. 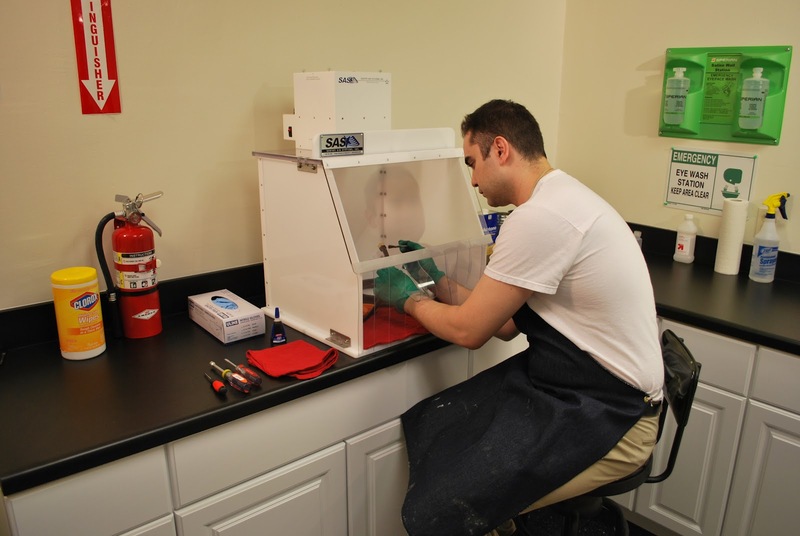 This benchtop system also utilizes heavy-duty activated carbon filtration. 4. 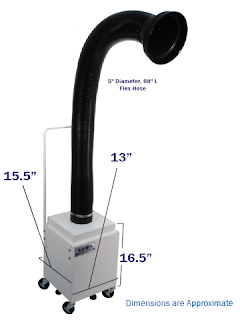 Sentry Air Systems also manufactures portable fume extraction units that feature self-supportive hoses. 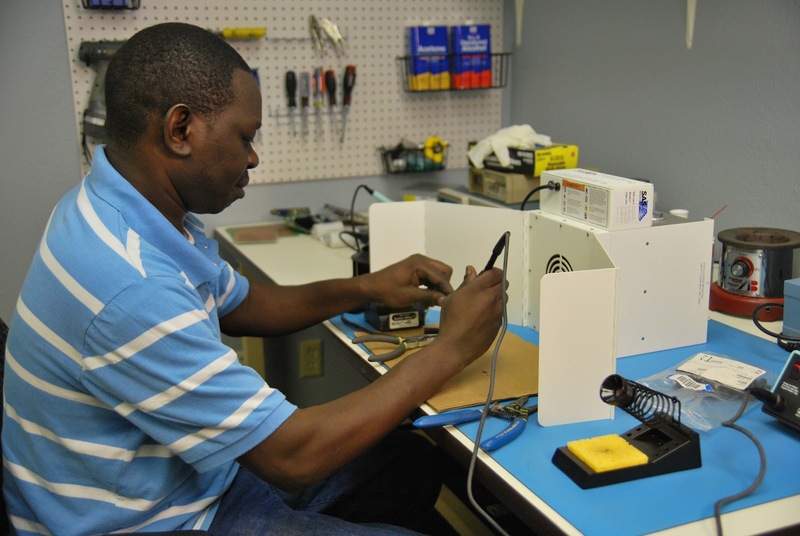 In this case, the spraying application would be performed in close proximity to the inlet of the extraction arm. For additional information and recommendations for fume extraction when using products like electrical contact cleaner, give us a call at 1.800.799.4609, email us at sales@sentryair, or fill out this simple online form to receive additional information from a Sentry Air Systems Applications Specialist.